Athletic Bilbao were one of the ten founder members of the Spanish Primera Division, a league they’ve still never been relegated from. They’ve won it 8 times making them the 4th most successful club in La Liga history but fears are now starting to grow that Athletic could drop out of the top flight for the first time in 2019. 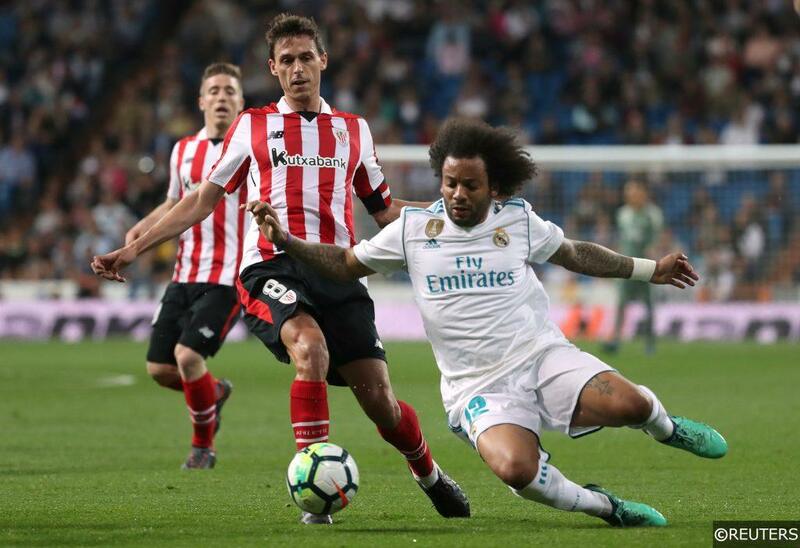 While on paper there are at least three weaker teams than them, a club record winless streak has prompted the board to act and dismiss coach Eduardo Berizzo, just 14 games into the season. A hopeless 2nd Half capitulation in a 3-0 defeat at Levante on Monday was the catalyst for the move and Berizzo has been replaced by Gaizka Garitano, the former Eibar and Deportivo La Coruna boss who has been promoted from B team coach to take charge of his hometown club for the first time. Athletic went into the game at Levante without a win in 12 and in the knowledge that failure to claim 3 points from their trip to Valencia would signal their worst ever sequence of games without a victory in La Liga. That should have been a real source of motivation for an Athletic side that started brightly with a sense of renewed belief after a 4-0 Copa del Rey win over Huesca. With Inaki Williams looking lively up top and Iker Muniain putting in another assured midfield display, Athletic appeared to be laying the foundations to potentially win the game but everything changed in an instant as Chema converted for Levante in 1st Half Stoppage Time. After the break, Athletic collapsed, conceding twice more as Peru Nolaskoain saw red to add to their misery and the sense that this was a team lacking direction was very real. The result was the end for Berizzo, sacked for the second season running before Christmas after his dismissal by Sevilla last December. Athletic aren’t a club that is known for rashly dismissing their coaches. In fact this is the first time since 2006 that they’ve made a change midway through a season, an extraordinary record by modern Spanish standards. Even the relatively unpopular José Ángel Ziganda lingered on for all of last season so this is still something of a bolt from the blue and is most likely testament to the genuine relegation fears that exist in Bilbao with 14 games gone and just 1 win on the board. Athletic’s recent struggles are to some extent at least rooted in their ‘Basque only’ policy. It’s one that they’ve stuck with throughout their history and one that has delivered an array of domestic honours although only one trophy since their double winning 1983-84 season. That came as recently as 2015 when Ernesto Valverde’s side won the Super Cup against Barcelona but it has largely masked the problem Athletic have of trying to compete in an increasingly competitive league where even the smaller clubs are now starting to reap the financial benefits of playing in a division that is determined to expand its global appeal and commercial revenues. In recent years there has been a slight relaxation in terms of how they define ‘Basque’. Romanian international Cristian Ganea, who grew up in the Basque Country but wasn’t born there, was signed earlier this year. However the Athletic board and supporters are united in their opposition to ditching the policy altogether, even if it means they suffer their first ever relegation. That would at least raise the issue for debate again but Athletic remains a club determined to hold onto its heritage and traditions and in the current football climate, that policy should certainly be applauded. Having too much money in the bank seems like a pretty nice ‘problem’ for anyone to have and that’s certainly the case for Athletic right now. In 2018 alone they’ve brought in a huge £130 million thanks to the sale of just two players. The buyout clauses of both Kepa and Aymeric Laporte were both met by Chelsea and Manchester City respectively. The latter was replaced instantly by Íñigo Martínez, who joined from Basque rivals Real Sociedad for around half the Laporte fee in what was largely viewed as smart business by Athletic with the two centre-backs viewed as being of a comparable ability level. However with only just over 2 million people in the Basque Country, the talent pool for potential new signings isn’t exactly a wide one. In the case of Kepa, there were barely any particularly enticing options in terms of finding a replacement. An injury to back-up keeper Iago Herrerín forced them to recall 21 year old Unai Simon from a lower league loan deal and five days later he was making his Athletic debut in the top flight. The Basque giants currently have the £72 million Kepa fee burning a hole in their pocket but their options for January recruitments to bolster their squad are limited in virtually all areas of the pitch. Some of that money will probably go to improving an already outstanding academy but the way this season is shaping up, it may be a quick fix that they need. On paper, Athletic are not one of the worst three teams in the division and they’d have fancied their chances of securing at the very least a mid-table finish this term. Despite this 13 game winless streak, some of their performances have been pretty good, particularly against the top sides. They’ve already drawn at home to Real Madrid and away to Barcelona. They felt very hard done by to lose 3-2 away to Atletico Madrid last month, a game they were leading heading into the final 10 minutes. However belief has clearly disintegrated in recent weeks. They were fortunate to scrape a draw against Getafe at San Mames and were a mess for much of the 2nd Half in Valencia on Monday night. Gaizka Garitano will need to get an instant reaction from this side otherwise they risk leaving themselves with a lot of work to do in the second half of the season. His recent coaching record hardly inspires confidence. He left Eibar in 2015 with the club ending their debut top flight campaign in the drop-zone (they would gain a reprieve due to Elche’s financial problems). Garitano has since been sacked by Real Valladolid and Deportivo La Coruna, with both sides in the relegation zones of their respective leagues at the time of the dismissals. Despite the limitations, this will still be the most talented group of players he has worked with though and in theory Athletic should have enough quality to avoid relegation. This is shaping up to be a very competitive season at the bottom though with teams like Villarreal also struggling and Huesca the only side looking like relegation certainties right now. Athletic’s players will need to do a fair amount of soul-searching over the coming days and key to their survival prospects will be their ability to turn the atmospheric San Mames into a fortress again. Categories: Blog and Football. Tags: eduardo berizzo, gaizka garitano, iker muniain, and inaki williams. Team Tag: Athletic Bilbao. League: Spanish La Liga. Sports: Football.